It’s a shame not to have outdoor living spaces if you are in The Sunshine State. After all, Florida has the best summer all year round in the United States that even birds have made this their favorite wintering location. Take advantage of this by turning your barren outdoors into the next most popular gathering hotspot for your family and friends. Building simple to elaborative backyard living space is one of the things that A Superior Pavers does best. Why Add Outdoor Living Spaces? The trend on outdoor living spaces is steadily going up. More and more homes in Florida consider adding an outdoor kitchen and barbeque, outdoor living room, outdoor dining table, and a lot more. Besides the obvious comfort, adding an outdoor living space also increases your home’s market value. More and more home buyers are eyeing at houses with impressive outdoor living spaces. Having these will mean a great savings for them and more earnings for you. But before selling the house, you have to experience the goodness of having an outdoor living space. These experiences will be priceless that you wouldn’t mind about how these spaces will affect the real estate’s value. Your immediate concern is how these spaces will improve the rare bonding time with family and friends. The beautiful transformation of your outdoor living space will depend on its current condition. Trimming of the grasses, taming of plants, building a beautiful landscape, and adding hardscape elements such as walkways, patios, pools, and outdoor kitchen are just some of the initial steps. All these steps will involve elegant pavers. Luckily, our company has been working with pavers for more than a decade. We are in fact one of the few contractors in Florida with complete certifications to install interlocking segmental pavers, permeable interlocking concrete pavers, and segmental retaining walls. This means that you will be dealing with a fully-licensed and insured company. Nothing can stress your mind as compared to a contractor that completely messes up a job. Our portfolio can give you fresh ideas for your soon-to-be backyard living space. 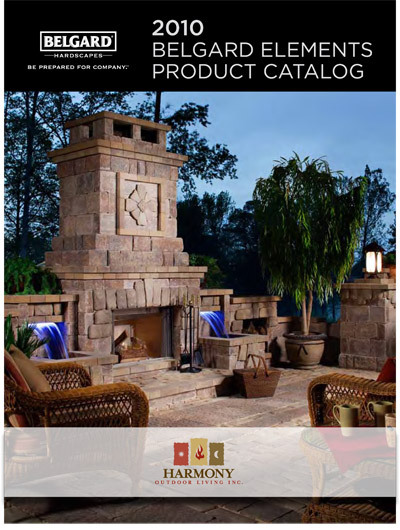 And we are a proud distributor of Belgard products where you can get the most sophisticated and highest quality of fireplaces, seatwalls, islands and other kitchen furniture, and many other elements that will complete your dream living space. Building a decorative surface is the start to having a comfortable outdoor living space that you can be proud of. You are free to add a cooking area like a simple barbecue or a full kitchen outdoors with a wide dining area. Never forget adding a fireplace or a hearth to warm up a cold Florida night while an outdoor water feature will cool down the hot days. Architectural accents, lighting fixtures, furniture pieces, and other small details will make the area more appealing. We can also install a pergola for enough shade. It also adds a classic look for the outdoor space. With these additions, your outdoor living area will definitely become one of the most favorite places in your home. We do not only install pavers. Our company has been completing various outdoor living spaces for homes in Tequesta, Palm Beach, Manalapan, Jupiter Island, West Palm Beach, and many other areas of sunny Florida. It’s time that your home enjoys the artistic touch of our high-quality craftsmanship by adding a backyard living space.